In New Zealand, pizzas will soon be dropping from the heavens. 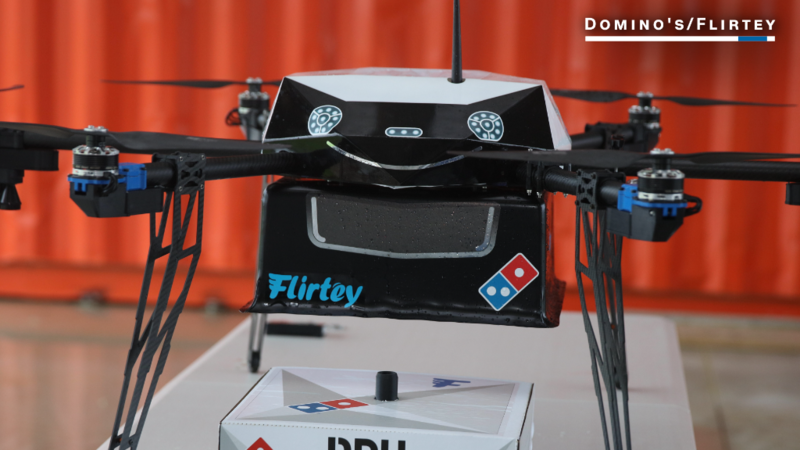 Domino's demonstrated its ability to deliver food via a drone Thursday in New Zealand and plans to test actual deliveries to customers next month. "It doesn't add up to deliver a two kilogram package in a two-ton vehicle," said Scott Bush, a general manager for Domino's Pizza Enterprises, which is independent of the U.S. chain and operates in seven countries. "In Auckland, we have such massive traffic congestion it just makes sense to take to the airways." 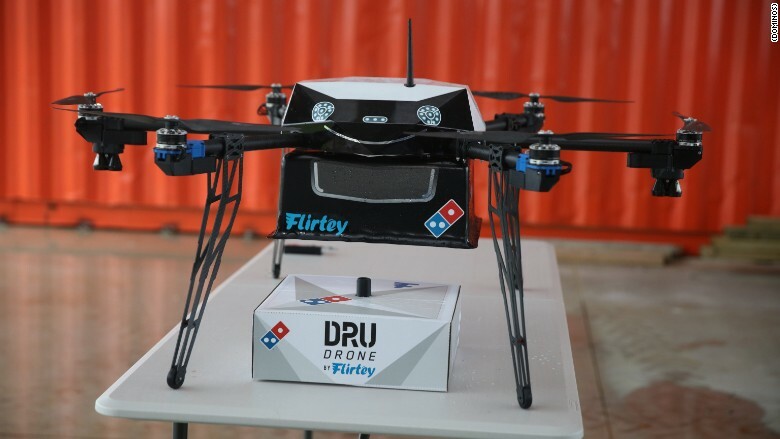 A Domino's customer who requests a drone delivery will receive a notification when their delivery is approaching. After going outside and hitting a button on their smartphone, the drone will lower the food via a tether. Once the package is released, the drone pulls the tether back up and flies back to the Domino's store. Initially there may be an extra charge for drone delivery, Bush said, but in the long term he hopes to deliver at no added cost. Bush said test deliveries to actual customers will begin September 26 out of one Auckland store. The drone flights, powered by American drone company Flirtey, will be automated, but a human will be nearby to supervise. There are limits on how far Domino's will be able to deliver. New Zealand's drone rules don't currently allow a drone to fly farther than the drone's operator can see, but Domino's said it's working with authorities to remove barriers. "We want to push it as hard as we can and roll it out globally throughout our seven markets," Bush said. U.S. customers hoping for a pizza to land in their front yard shouldn't get too excited, given that Domino's in New Zealand operates separately from the U.S. chain. The other countries that drone delivery could expand to include Australia, Japan, The Netherlands, France, Belgium and Germany. The company plans to broaden its New Zealand drone delivery in early 2017, including at night. Domino's has previously shown an interest in alternative delivery services. This spring it begin using a robotic cart that wheeled along sidewalks in Australia to make deliveries. In New Zealand, Domino's only sells pizzas in one size, which simplifies the challenge of a drone trying to fly in windy conditions with a large pizza box. Bush said Domino's would be able to carry loads up to 5.5 pounds.